Everyone lives in a river basin, even if you don't live near the water. The land that we live on eventually drains to a river or estuary or lake, and our actions on that land affect water quality and quantity far downstream. A river basin is the land that water flows across or under on its way to a river. Just as a bathtub catches all the water that falls within its sides, a river basin sends all the water falling on the surrounding land into a central river and out to an estuary or the sea. The topography of each basin determines the area that it drains, and for North Carolina, whether that water flows into the Atlantic Ocean or the Gulf of Mexico. 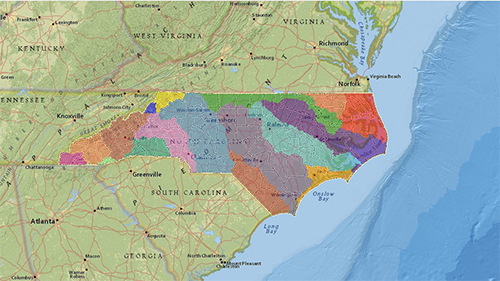 Use our River Basin App to interact with all 17 river basins in North Carolina. Type your address in the search bar to find what river basin you are located in! The River Basin StoryMap describes how river basins function, explains how humans and rivers are interconnected, and demonstrates how the decisions we make everyday affect water quality. 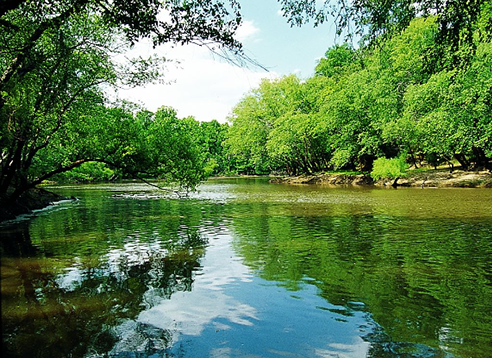 The Office of EE, in partnership with other DEQ divisions including the Division of Water Resources and the Wildlife Resources Commission, has created informative river basin education materials. Click the links below for electronic versions of the materials. 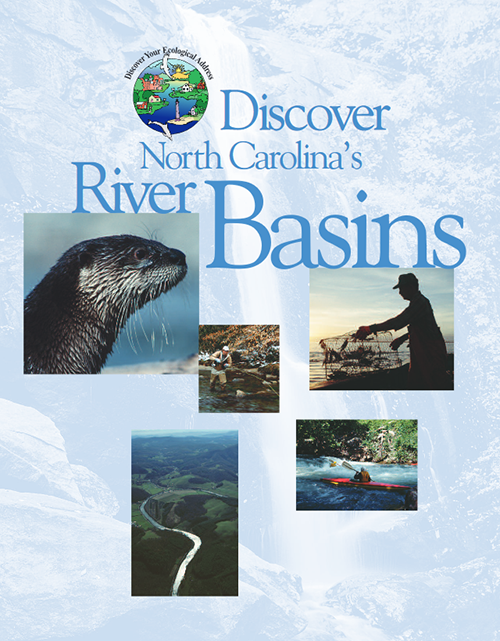 Discover NC's River Basins, a booklet with information on what river basins are, why they matter and how people affect them. Discover Your Ecological Address Whether you live in a busy city, on a farm in the country or somewhere in between, you have an ecological address.